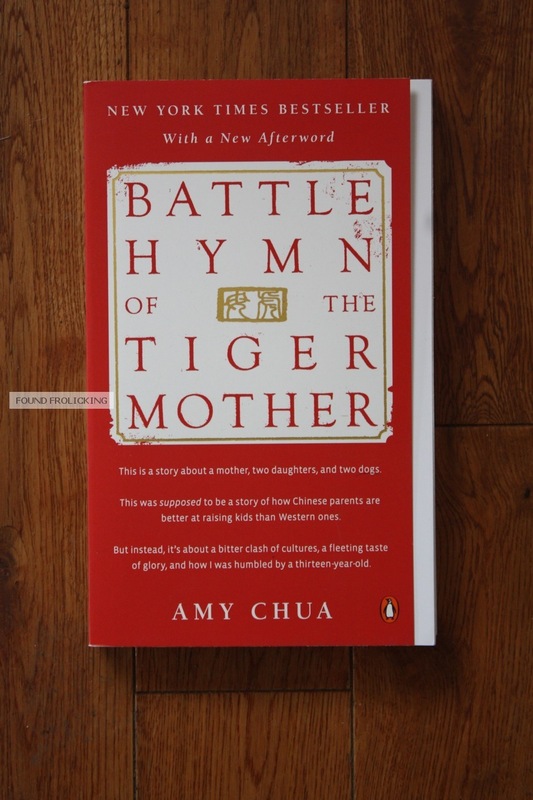 This is a review of the memoir/parenting novel "Battle Hymn of the Tiger Mother" by Amy Chua. Amy and her husband, Jed, are both successful lawyers who end up professors at Yale Law School. They lived in a few different Eastern states before inevitably ending up in New Haven, Connecticut. 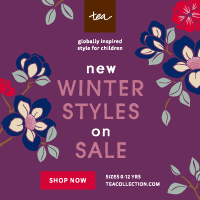 When their first daughter arrived, Sophia, they were lucky. She was an easy child from the beginning, soft-spoken, easygoing, and talented. Then their second daughter, Louisa (Lulu for short) was born. Amy didn't even know what was coming. And that's where things get messy. It's important to note that some of the things she says in the book are extreme, and sound impossibly harsh. But her children never seemed to take her words entirely at face value. It seemed to be more of a matter of her daughters, Sophia and Lulu, understanding how serious she was based on the eccentricity of her "threats." They just didn't seem to take her that seriously. The height of her extreme threats are never triggered by Sophia, who is a very ideal, stereotypical Chinese daughter. She is obedient, quiet, and gifted. Her younger sister, Lulu, while equally talented, is a stereotypical Western child. She is opinionated, rebellious, and independent. That's where there's a clash. At one point in the book, Amy says to her daughter, while she is practicing a piece on the piano, "If the next time's not PERFECT, I'm going to TAKE ALL YOUR STUFFED ANIMALS AND BURN THEM!" It sounds pretty bad. But she didn't mean it, and her daughters knew it. So they didn't break down in tears over the threat. In fact, while Sophia would go along and always obey their mother, Lulu would call Amy's bluffs. At three years old, Lulu challenged her mother for the first time. Amy attempted to introduce her to the piano for the first time, and when she did not cooperate, she threw open the back porch door, opening it to a cold winter, and told Lulu, "You can't stay in the house if you don't listen to Mommy. Now, are you ready to be a good girl? Or do you want to go outside?" Louisa voluntarily stepped outside. Amy had presumed Lulu would do anything to avoid going out in the cold. When she tried to backtrack and say that Lulu could come back in, she refused. She stood stubbornly in the cold, barefoot and without a jacket. Desperate, Amy resorted to bribery to get Louisa to return inside. There was more than a few times that my eyes bugged out a bit while reading this book. It's unexpected, crazy, and as such, also entertaining. 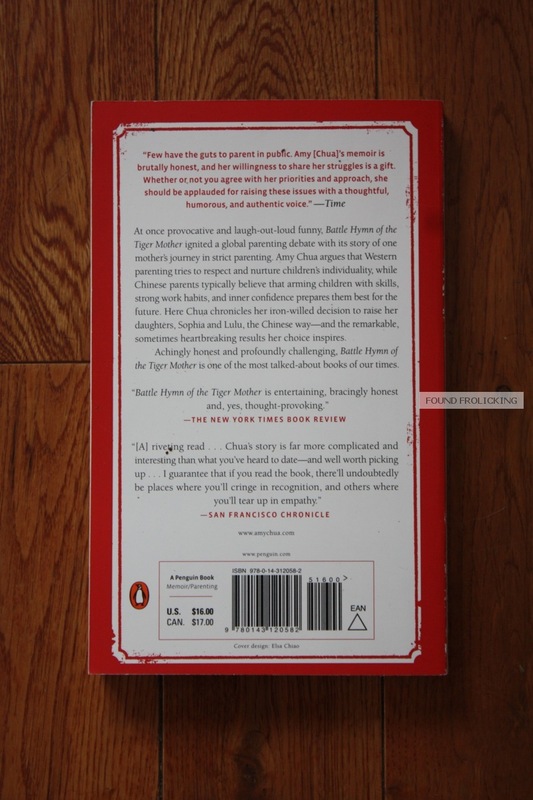 The book in its entirety, shows how Amy's attempt to stubbornly raise her daughters the Chinese way doesn't entirely work. I applaud this mother for doing what she was right for her children. As she mentions in the book, while it seems she is very harsh and critical (and, admittedly, she does take it too far), it comes from a good place. 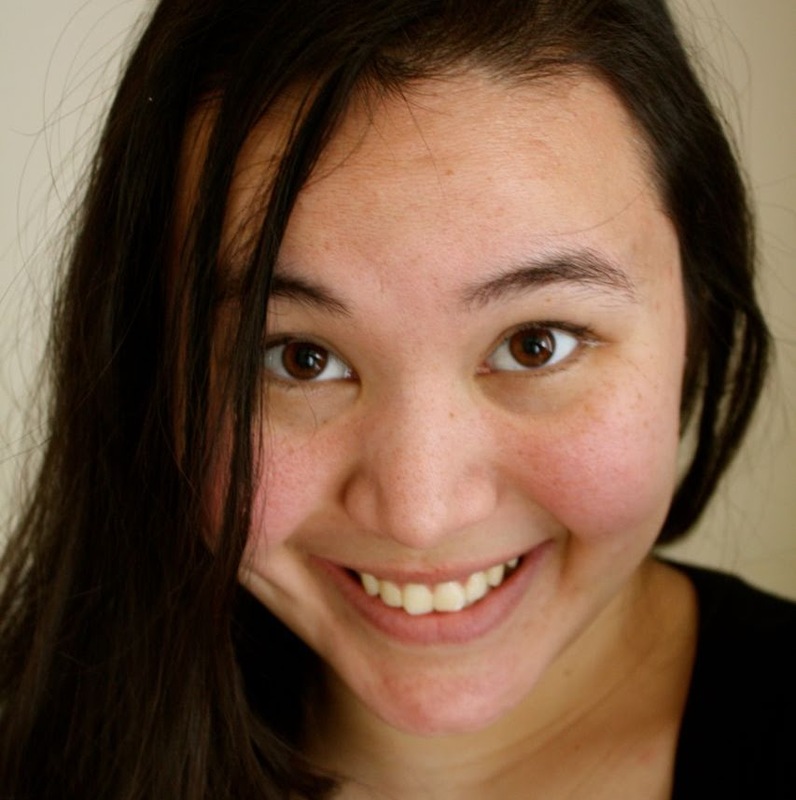 She believes, in alignment with traditional Chinese thought on parenting, that her children have the self-esteem and confidence to handle such critique. She criticizes the general Western tendency to decrease the self-esteem of their children by having low expectations. In her opinion, that shows children that their parents don't think they are capable of more, and so they don't expect it. It's an interesting thought, and, had I not read "Bringing Up Bebe", "French Kids Eat Everything", and "Nutureshock" recently, it would probably appear to be a more shocking concept to me. In France, as mentioned by Karen LeBillon in "French Kids Eat Everything," schools do not have parent-teacher meetings like we are used to in North America. Attention is given to a child's performance only if they are not meeting the standard, kids who perform "adequately" do not get lavished in praise for doing so. Children, and people in general, in French culture, receive praise only when they are extremely above and beyond the norm. I certainly don't agree with her parenting techniques. Like all extremes, it comes at a price. She did learn from her mistakes at the end, however, which is what matters. And she seems worse in the book than she surely was in reality, since her children obviously had the opportunity to do a lot of fun activities, too. They just weren't worth mentioning, more than fleetingly, in the book since that wasn't the focus. It is only towards the end of the book that she bothers to mention that all the countries they had been to for family vacations, and they are numerous. Since the book is a satirical look at her life, the sweet, normal moments would have seemed out of place. Therefore, it's "all the bad stuff" that is shared in this book. There are few mothers who would be brave enough to put all the negative aspects of their parenting technique out in print for the whole world to judge! I was pretty horrified to hear of the kind of criticism this mother received for sharing her journey in motherhood. She doesn't beat them. She doesn't smoke and blow the smoke in their faces. She doesn't lock them up in her basement with no food or source of light. Nothing like that. And yet this mother, who was brave enough, and had the good humor to poke fun at herself throughout her entire book, was criticized mercilessly for it. In fact, you'd think she did one or all of the terrible things I mentioned above, with the level of criticism she received. The media, being the media, made everything look horrible intentionally, and everyone fed into it and attacked her. People weren't even reading the book, they were simply reading the articles or listening to the tidbits in the media, and running with it. This just isn't acceptable. No one is perfect. Not you, not I. We all do our best to parent, as did Amy Chua. Therefore she should be given the basic amount of respect that warrants. All in all, Amy Chua writes her memoir of parenthood as a reminder that things don't always go according to plan. By the end, she realized her behavior needed to change, and it is a reminder to us all not to get carried away. It is an entertaining and thoughtful read (I blew through it in two days), and I would recommend it to anyone who would love a good laugh, coupled with some great life lessons. Just bare in mind one key thing when reading this book: don't take it too seriously. Disclosure: This book was purchased by myself, and is in no way associated with Amy Chua or the Penguin publishing company. The opinions shared above are honest, and my own. This sounds like a very interesting read. Thanks for sharing. Wow this sounds really good! I'm going to add this to my Good Reads! I'm so glad to have found your review of this book! My stepson's high school English class read excerpts from this book and had lots of discussions about the "Tiger Mother". It was really interesting to hear his perspective! This one is on my list to read! How interesting! Sounds like a good book. it sounds like a really good book...thank you for sharing.